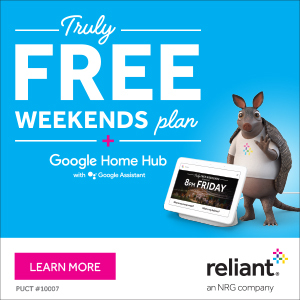 As part of our commitment to helping the community recover from Hurricane Harvey, we thought it would be helpful to write a “week in review” post every Monday. In the post-Harvey world, there has been no shortage of news about recovery, future projects, and ramifications of all that happened during the storm. This weekly post, largely produced by Matt, attempts to summarize the major news of the week, without editorializing. Please feel free to share anything we missed in the comments, or suggest additions for next week’s post. The U.S. 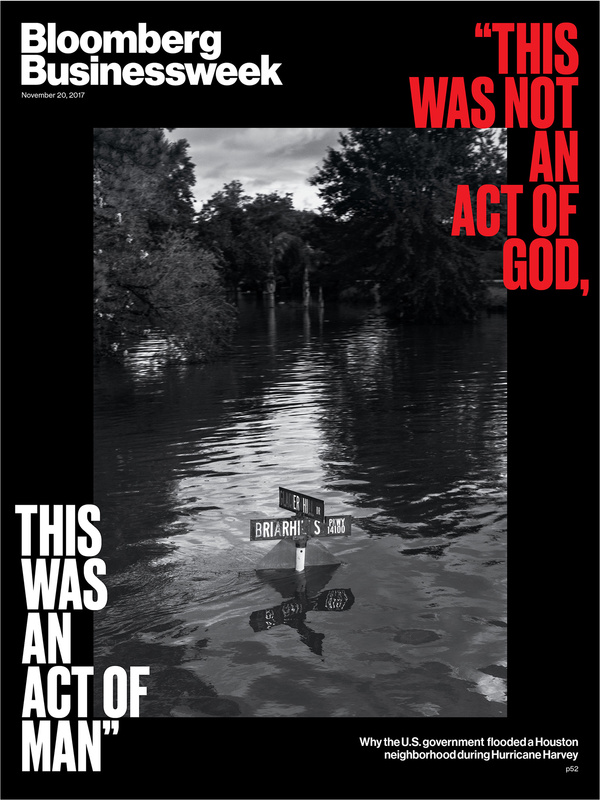 Flooded One of Houston’s Richest Neighborhoods to Save Everyone Else (Bloomberg Businessweek): November 20th’s edition of Bloomberg Businessweek highlights the dam releases from Addicks and Barker and subsequent flooding in West Houston for their cover story. The article offers a synopsis of what happened and the challenges of ongoing litigation as a result of the flooding. Repairs to Harvey-damaged San Jac bridge to start early 2018 (Houston Chronicle): TxDOT has a lot to consider after Harvey, including elevating roads. Meanwhile, work to repair the US-59/I-69 bridge over the San Jacinto River, which was heavily damaged by the flooding will begin after Christmas. Some of the repair work could be quite substantial. After Harvey, A Once-Lively Neighborhood Finds Silence (Houston Public Media): Meyerland residents grapple with the decision to relocate or rebuild higher. Nearly $29M being sent to more than 90 nonprofits in 2nd round of Harvey fund distribution (ABC 13): After $7 million was distributed last month, another $29 million of Harvey relief donations will be distributed among a whole bunch of local organizations to help folks in and around Houston. It’s official: KHOU not returning to Allen Parkway (KHOU): After being flooded during Harvey, KHOU will seek out a new permanent home. Houston area groups propose plan for how third Hurricane Harvey relief package should be distributed (Community Impact News): The U.S. House will soon pass a third aid package for Harvey relief. Governor Abbott has asked for over $61 billion in funding for various flood control projects and buyouts in addition to recovery. Much of that request is based on the Rebuild Texas plan. Another group has advocated for more comprehensive flood control the rest of Harris County. You can read about some of the differences between Rebuild Texas and this Better Houston plan in the article. Texans blast Trump’s $44B storm relief package as ‘inadequate’ as White House goes on defense (Dallas News): Speaking of, the latest White House proposal for hurricane relief falls quite a bit short of what the governor had asked for from Congress. Flood control plan for stretch of Buffalo Bayou could result in removal of trees (Houston Chronicle): Studies and discussions about how to control flooding on Buffalo Bayou could result in trees being removed for projects, such as detention ponds. After Harvey, Houston arts groups on precarious footing as critical holiday season nears (Houston Chronicle): The Theater District in downtown Houston was hit tremendously hard by Harvey. Recovery is slow and challenging, and it may take several years to fully recover. Arkema documents: Planning, mechanical failures led to Harvey chemical fires (Houston Chronicle): The Houston Chronicle investigated the plans that were in place prior to Harvey at Arkema. They found that the company was ill-prepared for a storm like Harvey. Arkema contends the issue was Harvey’s unprecedented nature. Logs from the ride-out crew on site are included. Preliminary 2D Animation of Events Leading to 2017 Fire at Arkema Chemical Plant in Crosby, Texas (U.S. Chemical Safety Board): The U.S. Chemical Safety Board released an informative animation and narration of how the Arkema situation became a situation during Harvey. If you had questions like I did about what happened, this is worth a few minutes of your time. After Arkema plans, safety board urges industry to rethink emergency plans (Houston Chronicle): More color on the CSB’s findings. Their message: Companies need to go beyond what they’re required to do when planning for flooding. Harris County Sues The Arkema Chemical Plant In Crosby (Houston Public Media): As a result of all this, Harris County is suing Arkema for the release of chemicals after Harvey. Last week, the U.S. House voted in favor of reauthorizing and overhauling the National Flood Insurance Program. House passes flood insurance renewal in wake of massive storms (Politico): Read more here about the political background of the reauthorization and overhaul. House Passes Flood Insurance Program Extension with Reforms (Insurance Journal): Read even more about the plan and the reforms here. Frequent Flooders Tax Federal Insurance Program (Wall Street Journal $): Over $800 million has been paid out of NFIP to 750 properties that have flooded multiple times. Of all properties in the country with repetitive losses, 49% are located in Gulf Coast states. 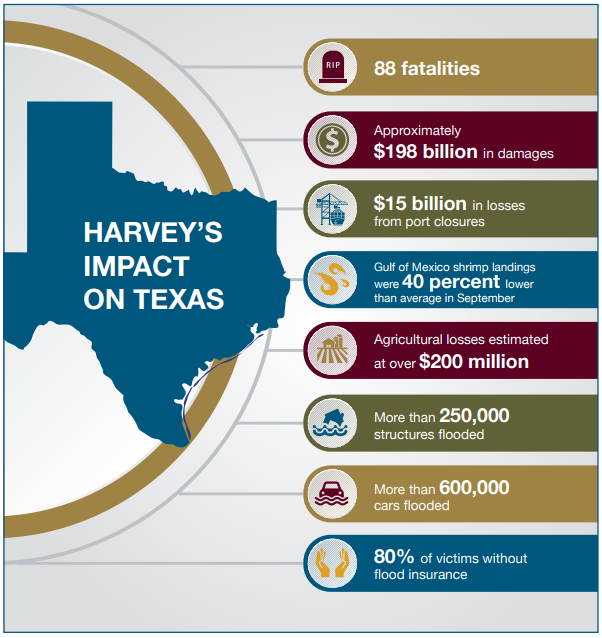 Texas Sea Grant Responds to Hurricane Harvey to Help Texas Recover, Rebuild and Prepare for the Future (Texas Sea Grant): A quick, informative fact sheet with some Harvey details about information on Texas Sea Grant. Texas’ odds of Harvey-scale rainfall to increase by end of century (MIT News): This study determined that while Texas has about a 1% chance of a Harvey-type rainfall in any given year (based on 1981-2000 normals), by the end of the 21st century, that risk would jump to 18% in a year when factoring in climate change. Flood Model Shows (San Antonio) River Walk Could Become a ‘Bathtub’ (Rivard Report): San Antonio has been largely a Texas flood success story, making changes and investing in infrastructure to develop resilience to flooding. A Harvey-type event there would also cause serious problems, however. This is great! Thanks for providing yet another useful service to your readers. We love y’all mightily! This one is all Matt, and I agree, it’s really great. This is great! I know some people would prefer never to hear about Harvey again but we have an amazing opportunity to redefine Houston – what kind of growth do we want? What’s our intersection point between resilience and affordability? Where is it appropriate to rebuild and how do we do it smarter this time around? We need to be informed to be able to lend our voices to the discussions. Someone made a comment the other day that made me wince: “Oh well, my company will transfer me elsewhere in a few years so it doesn’t really matter.” I’m a native Houstonian and have lived several other places for school and work but made a conscious choice to return and call this “home” so I’m putting my money on #HoustonStrong. And we need people like you, Eric and Matt and your readers, to make that more than wishful thinking. Thank you, Kate! This is precisely why I think it’s important for us to do. We all live here. A lot of us love it. Whether we love or it hate it, we have a responsibility to be engaged and involved in the decisions about its future. If we can convince a handful of people to do that or keep a handful of people more plugged in than they otherwise would have been? Then I think we’re happy. That Bloomberg article was a tough read. Very well done, but soul crushing. This is just what the community needs. It’s so hard to get apropos information all in one place. You guys are amazing!